This Mattel computer was acquired only in 1998. 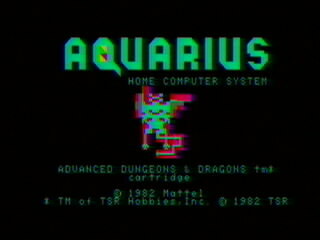 I picked up a box of Atari computer parts at a flea market for $10 and found the Aquarius in the bottom of the pile. These computers take these funny looking wedge shaped cartridges. It came with one that looked like a database program. 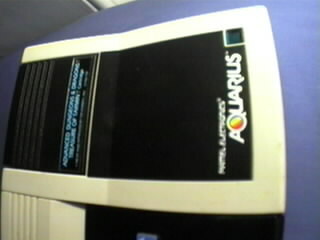 Also in the box was the data recorder. I auctioned the recorder off and was able to find the one game I was looking for. Advanced Dungeons And Dragons Treasure of Tarmin. Since the intellivision version was so good I had assumed the computer version would be better. Well it's not exactly better but it is bigger. Instead of all the floors being 10 x 10 they are much much bigger. But the graphics are blocky. There are more types of monsters. One of these days I'll sit down and play this some more to get a better feel for it. I forgot to mention the keyboard overlay. 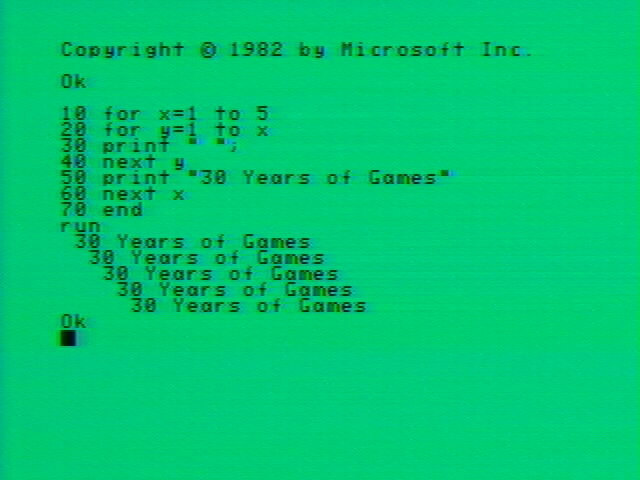 It appears this has Microsoft™ basic built in. 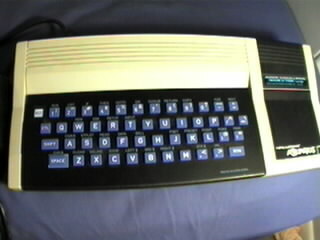 Another noted feature was the external power supply was permanently attached. Mattel was using some strange voltages for the intellivision II and power supplies always seem to get lost in the basement.